I'm looking forward to meeting the folks on the Yellowstone trip. Even though we've never met we're not exactly strangers. I know them all through their writing and I've even spoken to Marc on the phone a few times. 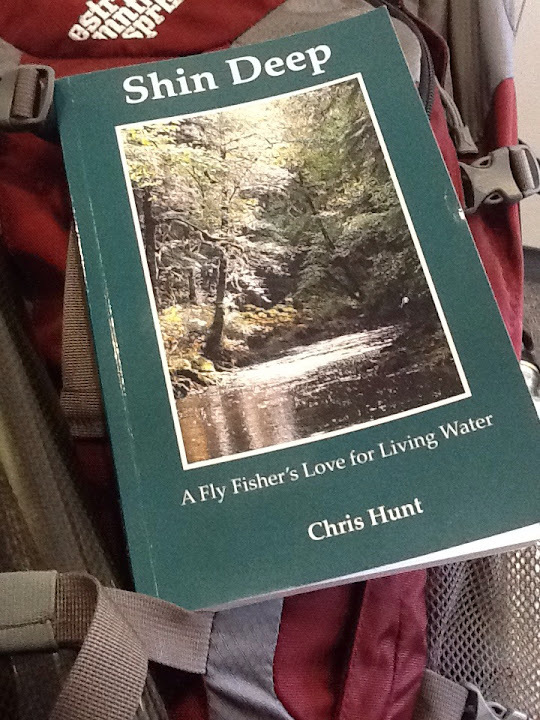 Besides his blog, Chris Hunt has a bonus set of writing -- his book, Shin Deep. For my trip out to Denver I bought a copy. It was the perfect read for such a trip. Not too heavy (literally and figuratively) and helped me mentally prep for angling in the Rockies as well as on the Yellowstone trip next week. If you've read Chris' blog you're in for a treat. It's the familiar voice you hear on the blog but with more depth and variety. The book is organized around rivers and fishing geography. Each vignette tells an angling story as well as a bit of the life into which it is woven. As all of us know, this obsession of ours is inextricably linked to the people and lives which it touches and Chris' writing brings that out well. While Chris does touch on my home waters in Connecticut my favorite chapters are of different locales. Shenandoah is a fantastic tale of a visit to nation's capital, a spouse's incredulity (a common angling spouse's state), and a proposal for a three question test before being allowed to purchase a fishing license. Oh, and some angling for Appalachian Brook Trout as well. His visit to Alaska recounted in the chapter Prince of Wales brings to mind everything that can go both wrong and right in a trip. His quest for the right fly, heck any fly, in the wilds of Alaska leads to an absurd and rewarding adventure. Finally, Colorado is a tale of small stream fishing for Brook Trout in Rocky Mountain National Park. Any small stream angler will recognize this setting and the challenges is possesses. I particularly like this story because he managed to work in the phrase "booger eating morons"; always a winner. 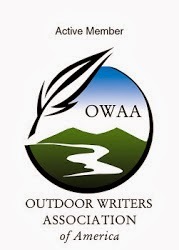 The book has sixteen other stories of angling adventure. Some are very good, all are solid. Perhaps the best endorsement for this book is that I read it in two sittings without noticing the time going by. Well worth the investment. Pick up a copy.